ItemA-00174 - Victoria Harbour showing SS Princess Louise, SS Yosemite. ItemA-00175 - Victoria Harbour showing SS Princess Louise, SS Willapa. ItemA-00196 - Outer Wharf, Victoria, showing "Cottage City", "Progreso", "Pak Shan"
ItemA-00977 - Granville Street in Vancouver. 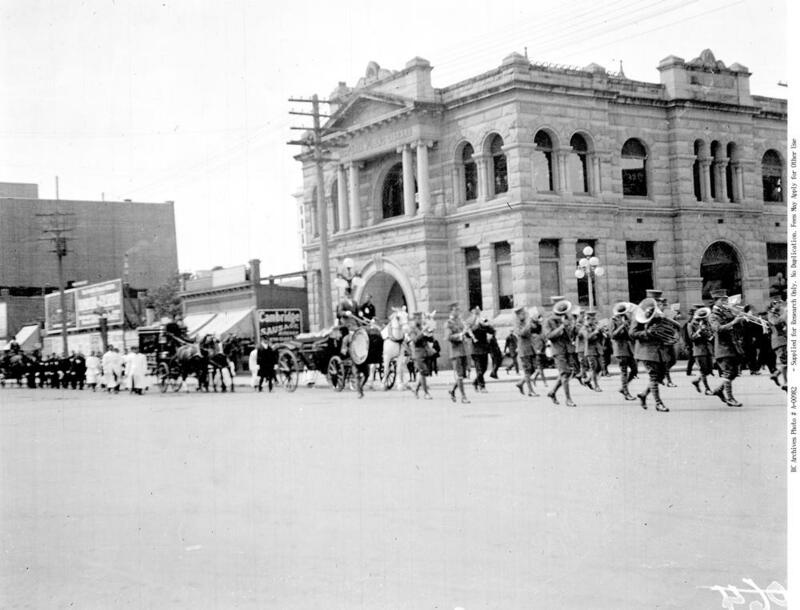 ItemA-00979 - Nanaimo Strike Troops, Sent To Break The Dunsmuir Coal Miners' Strike, Passing Through Duncan.